A durable and lightweight set of binoculars, with nitrogen-purged optics to prevent fogging and BAK-4 prisms for sharp images. 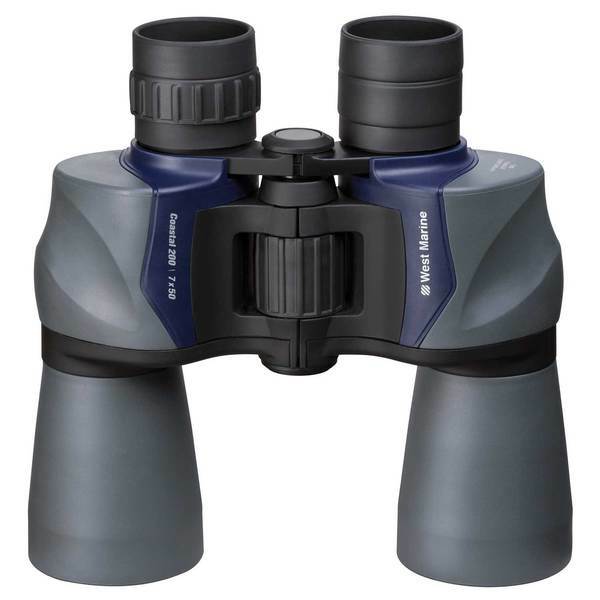 An exceptional value in a fully waterproof set of marine binoculars. The durable, lightweight polycarbonate housing is filled with dry nitrogen to prevent fogging. Internal O-rings create a seal to ensure moisture protection. They feature multi-coated lenses for brightness in low-light conditions and BAK-4 prisms for sharp images. Light transmission efficiency is 85%. Includes padded neck strap and nylon case. Rated waterproof to IPX7 standard.